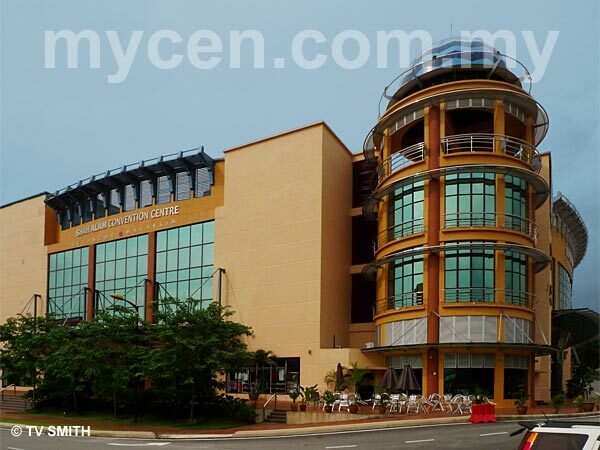 Directions: Located in the so-called city center (Pusat Bandar) of Shah Alam, the building is in front of Kompleks PKNS and next to the SACC Mall. Info / Insights: The newly opened convention centre has a total built-up area of 208,663.48 sq.ft. The main hall on the ground floor is capable of seating 1,920 persons on round tables or holding 112 exhibition booths. There are 8 more seminar rooms on the first and second floor. Plenty of parking bays are available in the basement and on the ground floor compound. The neighbouring SACC Mall apparently stands for Shah Alam City Centre. Both properties are owned by PKNS (Perbadanan Kemajuan Negeri Selangor).